The weather’s changing and it’s time to get my skin ready for Fall. I spent all summer running outside and having a good time in the sun. Even though I use sunscreen and regularly exfoliate it doesn’t prevent the effects of hyper pigmentation caused by sun damage, bug bites, and sweat clogged pores. The weather’s beginning to change and with that, it’s time to overhaul my skincare regimen. The first thing I want to do is get my pores as clean as possible by pulling out any dirt, oil, whiteheads, and blackheads. I also want to get rid of some hyper pigmented spots on my forehead and on the side of my face. For this, I’m going to use the 4 -step skincare system by Prescribd. Specifically made for “Skin with Melanin”, Prescribd is an all natural brand that cleanses, detoxifies, heals and soothes your skin. In my video, I provide a full demonstration on how to use the 4 step system. In the box comes a bar face soap called “Cleansr”, an astringent-like product called “Tonr”, a calcium bentonite clay mask and a moisturizer “Moistr”. The Cleansr is made of oatmeal and honey to soothe and lock in moisture while also providing a thorough cleansing. I used the Cleansr to remove my makeup and it did a pretty good job. However, I would recommend still using a makeup remover wipe if you’re wearing more than just a tinted moisturizer or primer. The Tonr is by far my favorite product in the set. It contains ACV (apple cider vinegar) which is amazing for so many things including restoring proper pH balance to your skin. Not to worry, although ACV is a primary ingredient it also contains rosewater and witch hazel which softens the ACV. The Mask is a clay mask similar to other calcium bentonite clay based masks you’ve seen on Youtube and Instagram as of late except the clay is left in its natural state until you’re ready to use it. The clay is activated when you mix it with the Tonr in order to keep the natural properties in the clay from becoming less effective. Once you mix equal parts Tonr and Clay to create the mask, magic happens - I swear! Calcium bentonite clay is made of iron, sodium, calcium, potassium, and magnesium from naturally occurring volcanic ash. Bentonite clay has a very strong negative electrical charge. Most toxins such as heavy metals, chemicals, and other impurities have a positive charge. When the clay binds to the toxins, it destroys them and releases minerals which the body then absorbs and uses. Bentonite clay pulls hydrogen from cells, allowing room for oxygen, helping to improve circulation and overall skin tone. Bentonite clay contains silica which strengthens connective tissue including muscles, tendons, ligaments, cartilage, and bone. 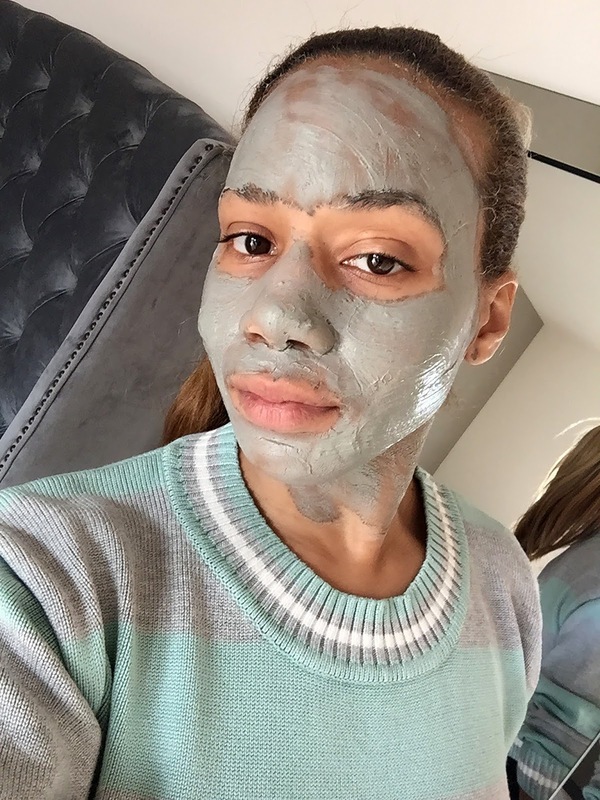 Bentonite clay is also known for naturally diminishing fine lines and wrinkles, reducing the appearance of scars and rebuild damaged skin tissue. So you see, magic! 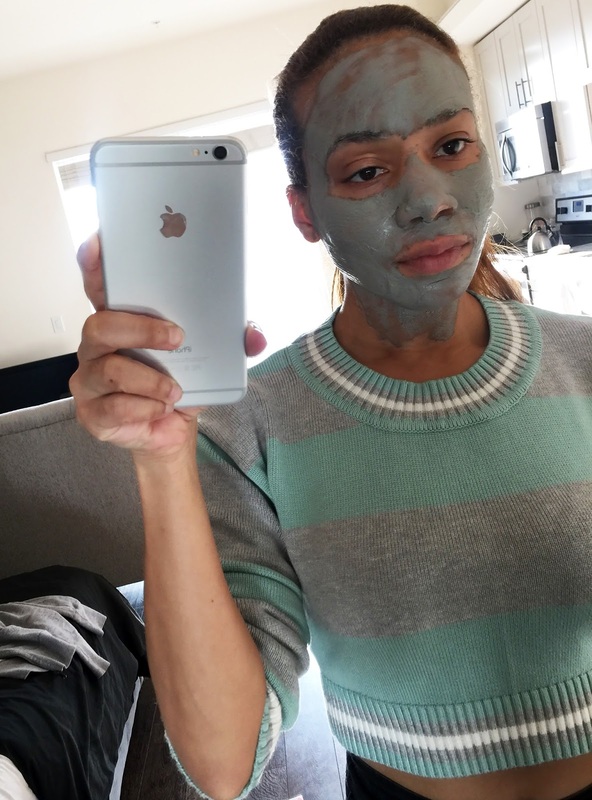 From my experience, after leaving the mask on my face for about 20 minutes, I could feel the mask becoming intensively tight. There’s nothing better than a mask that you can feel working. FYI: just don’t try to talk while you have the mask on! After you wash off the mask, you’re definitely not going to want to skip the Moistr. I’ve actually found myself replacing my long-time go-to moisturizer with the Prescribd Moistr. The aloe vera in the moisturizer is soothing making it great even for the most humid summer days. The items in the 4-step skincare system are unfiltered, unheated, unpasteurized and 5% acidity which is why Prescribd only produces small batches. Also, don’t be turned off if you see something stringy and slimy floating in the bottom of the Tonr. It’s just the “Mother" from the ACV which is actually the best part. If you’re curious about how to use Prescribd’s 4-step system and want to see a step by step tutorial, watch my video here, http://bit.ly/prescribddjr. You can definitely see a before and after even with my first use.